Hey my dear readers! Im truly sorry for the long hiatus as i was totally out of the blogging mood plus minus i was too busy with the Raya celebration and my normal duty as a white collar. 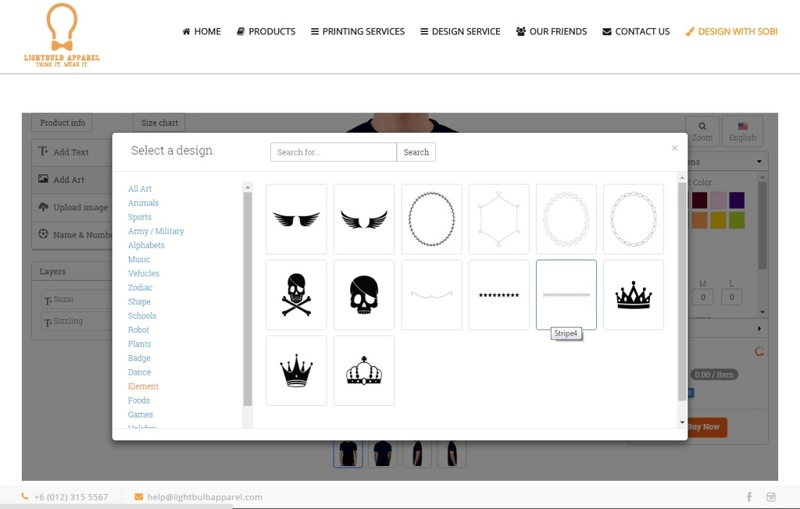 i've been pending few post since the past few weeks, nah here is a sharing on "How to design your own shirt" with Lightbulb Apparel or they named the platform as SOBI - Studio Of Bright Ideas ! 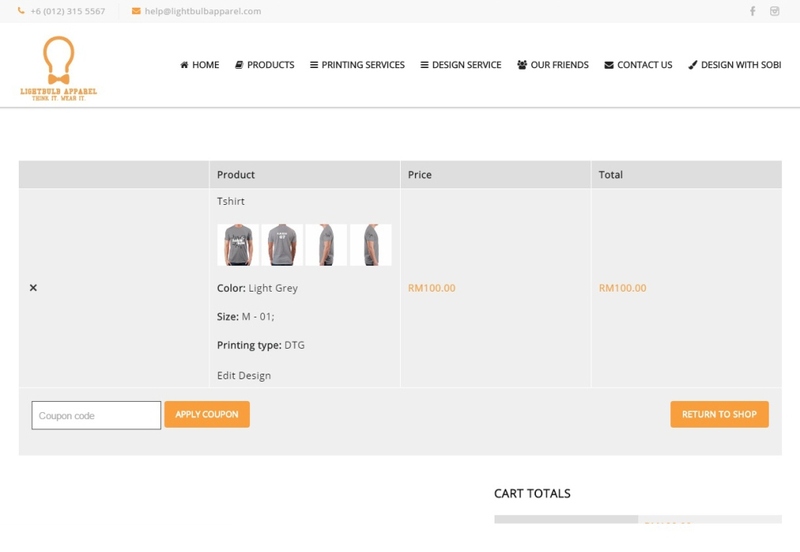 The white plain shirt starts at RM20 (excluded shipping fee) then you need to be as creative as you could to 'colour' your own shirt with all the provided templates and arts. 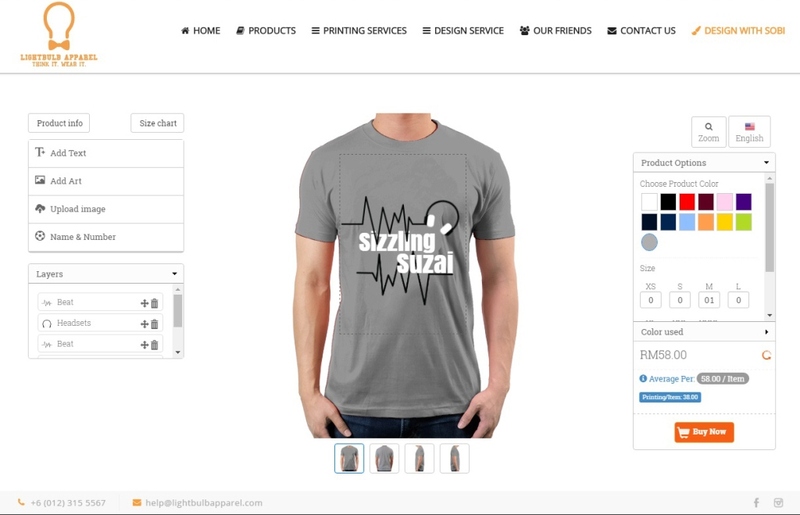 First of all, open up this page lightbulbapparel.com/Sobi and start your own design! 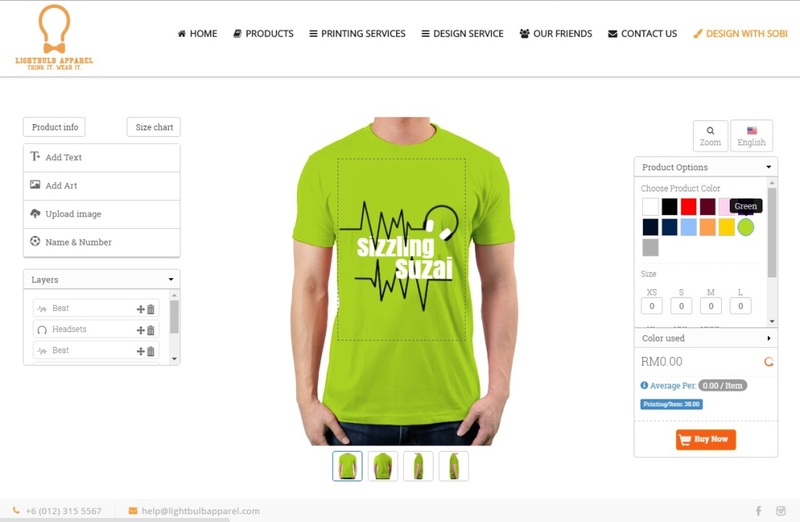 a simple typography and heartbeats are my pick, so now choose your shirt colour! 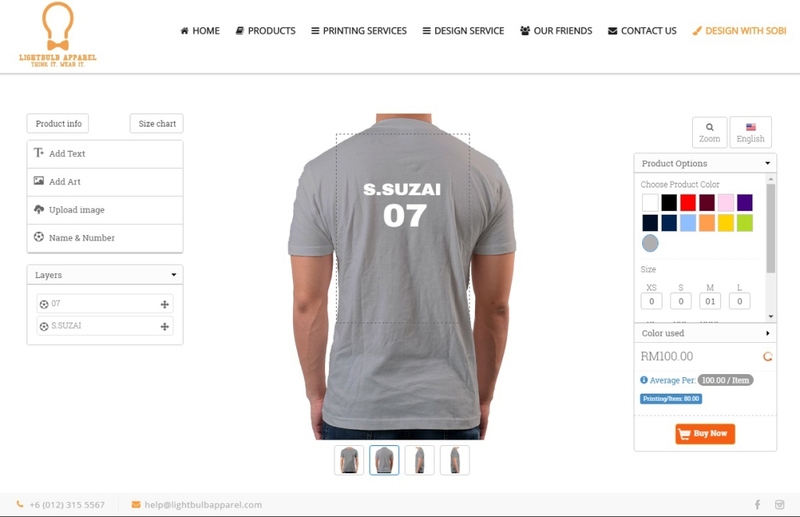 yup you can also design the back part and both sides too! ta-da you're done! the total price will be calculated at the end of the process, you can re-edit for sho! Easy peasy right? for me i could forsee this platform as the best way to design bulky order such ex-schoolmates gathering, office trip, corporate events, roadshow and many other special occasions that demands for a simple "boria" shirt. NO Minimum order and delivery to your door 5 to 14 working days (of course its depending on your quantity!) Head directly to www.lightbulbapparel.com and start your own signature shirt! Nice laa that tshirt design sistor ngensot..